State terror assaults, such as those taking place daily in Palestine, incite tensions between Zionists and non-Zionists – and that is their intent….. Influential Zionists have fomented widespread Islamophobia and authored legislation restricting free speech which has outlawed criticism of Israel as ‘anti-Semitism’….. All the major overseas Jewish organizations have marched in step…. In the U.S. self-styled ‘mainstream Zionists’ have defended Israeli spies and criminals, as well as un-extraditable swindlers, and organized nation-wide networks of university, professional and business organizations to demand the firing of colleagues and to suppress free speech and free assembly of Israel’s critics….. Few progressive web sites or even the micro-Marxist journals confront these issues, more out of moral cowardice (self-censorship) than ignorance…. – Sumner Shapiro, William Studeman, John Butts and Thomas Brooks, former Directors of Naval Intelligence cited in Ronald Olive, Capturing Jonathan Pollard: How one of the Most Notorious Spies in American History Was Brought to Justice, Annapolis Maryland: Naval Institute Press . 248. Over two decades ago, Harvard political science professor, Samuel Huntington, argued that global politics would be defined by a ‘clash of civilizations’. His theories have found some of the most aggressive advocates among militant Zionists, inside Israel and abroad. During the past month, the Israeli regime has been slaughtering and wounding thousands of Palestinians in the West Bank, Gaza and Israel. The Israeli state terrorists, who commit mass murder in Palestine, are part of a movement that sees an inevitable mortal final battle between Zionism and the Moslem and Western world. Many Western democratic leaders have questioned Huntington’s prognosis and discreetly refuted the Zionist belief that different faiths and cultures cannot live and work together. In the aftermath of the Paris attacks, leading Western Zionist ideologues have argued that, while liberal values should be reaffirmed, the US and EU leaders must recognize ‘malign global Islamic trends’. Influential Western Zionist journalists and ideologues, who dominate the mass media, argue that ‘hardline Islamism’ is on the rise, even in previously moderate Muslim countries like Turkey, Malaysia and Bangladesh… These ideologues (for example Gideon Rachman of the Financial Times) systematically avoid commenting on the rise of hard line Zionism in its most racist form in Israel and the conversion of formerly moderate Zionist organizations into willing accomplices of Israeli state terror against a captive people. Together, these developments in Israel and among the major Zionist organizations in the US and the European Union have limited the space for critics of the ‘clash of civilizations’ dogma. State terror assaults, such as those taking place daily in Palestine, incite tensions between Zionists and non-Zionists – and that is their intent. Larger structural and systemic forces are at work and are driving Zionist radicalization. One of the most pernicious is the way in which wealthy US and EU Zionist individuals and organizations, in particular the Presidents of the 52 Major American Jewish Organizations, have used their economic power to spread the most intolerant forms of Judaism into the rest of the Western World. The effects are now visible in the major political institutions and media of the US, England and the Continent. Previously, France was held up as an example of a successful multi-cultural nation – a dubious assumption as any historian of colonial France can testify. But that image is rapidly changing. Influential Zionists have fomented widespread Islamophobia and authored legislation restricting free speech which has outlawed criticism of Israel as ‘anti-Semitism’. French civil libertarians have noted that political and social space has increasingly narrowed for ‘non-Zionists’, especially for anyone critical of Israel’s state terrorism. In other words, there is immense pressure in France to ‘keep quiet’ or self-censor in the face of Zionist racist brutality – so much for Les Droits de L’Homme et Du Citoyen. President Barack Obama meets with the Conference of Presidents of Major American Jewish Organizations in the State Dining Room of the White House, March 1, 2011. All the major overseas Jewish organizations have marched in step. 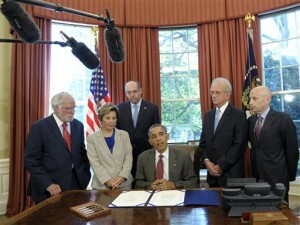 In the United States, a country with a democratic constitution and centuries-old Bill of Rights, self-styled ‘mainstream Zionists’ have defended Israeli spies and criminals, as well as un-extraditable swindlers, and organized nation-wide networks of university, professional and business organizations to demand the firing of colleagues and to suppress free speech and free assembly of Israel’s critics. First and foremost, major Zionist organizations and leaders have stoked the fire of anti-Muslim and anti-Arab racist rhetoric, which has become commonplace in the mass media and among Republican candidates engaged in the current Presidential nomination campaign. The convergence of these developments in Israel and among the Zionist power configuration in North America, Europe and the Middle East is fueling the idea of a ‘clash of civilizations’. The ideological marriage of Herzl and Huntington is fast eroding the former reality of Jewish and non-Jewish integration and intermingling across the globe. The alternative to a plural civilization is more primitive and brutal injustice, violence and death. 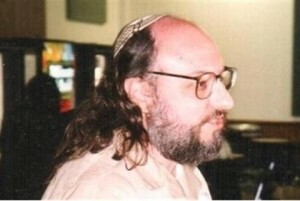 On November 20, 2015, former Naval Intelligence Analyst, Jonathan Pollard, the American-Jewish spy for Israel, was freed by the Obama regime under Zionist pressure after repeated refusals by three Republican and one Democratic President and over the objections of the heads of all 27 major US intelligence agencies. The significance of this release has to be viewed against the history of Pollard’s crimes. The mass media and the 52 Presidents of the Major American Jewish Organizations (AIPAC, ADL, etc…), claim that 1) Pollard committed espionage against US security for ‘altruistic reasons’ – a deep concern for Israel’s security and because US intelligence agencies had refused to share crucial information with Israel’s intelligence counterparts (out of anti-Semitism), 2) the information Pollard handed over had no lasting harm and did not endanger US security, and 3) Pollard’s punishment was ‘excessive’, his ‘repentance’was sincere and his example precluded any future Israeli espionage activity against the US. These assertions are completely false. Pollard was a mercenary, spying against the US out of greed. He lived a decadent, expensive lifestyle and had demanded the Israelis pay him a total package of over $250,000 for his work. The Israeli Embassy was known to have paid Pollard, a US Naval Analyst, to spy against the United States government. Court records reveal that he collected over $50,000 for ‘expenses’ during his espionage career, including expensive jewelry, and a monthly stipend of $2500. Court records furthermore reveal that he offered to sell additional secret documents to Pakistan, Apartheid South Africa, Australia, Russia and some Middle East countries. He collected dozens of box-loads of confidential documents, many of which had nothing to do with the ‘security of Israel’, but were deemed essential to US global security, including atop secret ten volume set of National Security Agency high level codes exposing the most advanced means and methods of espionage and the main targets of intelligence collection. Some of his ‘vacuumed-up’ treasure trove included the identity of US intelligence operatives and assets in Warsaw pact countries and the Soviet Union. The 27 US intelligence agencies have consistently opposed Pollard’s release because his sale of this information to the Israelis led to the capture and execution of US operatives after Israel handed over this top-secret information to the Soviet Union in exchange for allowing Soviet Jews to immigrate to Israel in massive numbers. Needless to say, this treason crippled US intelligence operations and led to deaths. US military and intelligence officials view Pollard as having ‘blood on his hands’. So much for the ‘altruistic American Zionist keen on helping insecure, little Israel.’ Years of Zionist propaganda and lobbying have obscured this aspect of Pollard’s crimes. 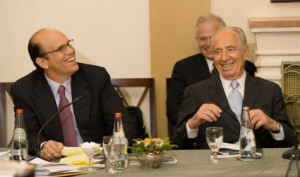 Far right Israeli Cabinet Ministers and liberal American Jews, supporters and opponents of Pollard, pundits and editorialists argue that the life imprisonment given to Pollard was out of proportion to the crime of treason. They claim that, after 30 years, he was ‘overdue’ for release. The severity of the punishment is determined by the crime and the damage caused. In case of treason and espionage committed by US officials, (especially for money), the sentence is always severe. The leaders of the John Anthony Walker Naval spy ring were given multiple life sentences in 1985 and there are many other similar cases. 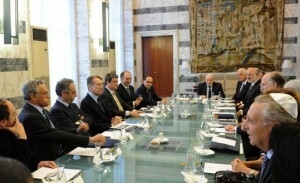 Among the documents Pollard handed over to his Israeli handlers (operating out of the Israeli Embassy), was US intelligence on strategic installations in Syria, Lebanon and Iraq. No doubt, this provided Israel with strategic coordinates to bomb major security facilities in those countries as well as facilitated their brutal invasion and occupation of Lebanon in the 1980s. 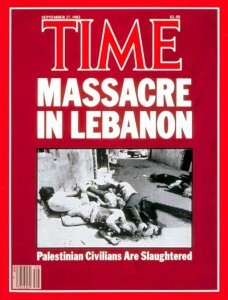 Pollard’s treachery led to the death of thousands of civilian lives in Lebanon and facilitated the wars in Iraq and Syria. The damage to those countries and to innocent people would not have been considered by the judge in Pollard’s life sentence – but it must be considered here, in understanding the enormity of his crimes. Pollard has boasted that he was operating out of a ‘racial imperative’ to protect Israel. Pollard did not serve a life sentence. In fact, while in prison he became an Israeli citizen, a salaried officer in the Israeli armed forces and, after divorcing his American wife (who had also engaged in espionage for pay and served several years in prison), he re-married a Canadian-Israeli woman. This sheds a different light on the ‘severity’ of a life sentence for treason. Pollard did not serve this ‘life sentence’. He was paroled in November 2015 (to the cheers of his adoring Jewish –American fans) demonstrating the wealth and power of American Zionists and their ability to buy the support of US politicians, domestic and foreign notables and the entire Israeli-Jewish political spectrum-and push aside the objections of the heads of the three major US armed services and intelligence agencies. Israeli public opinion overwhelmingly supports Pollard and regards him as a ‘role model’ for other US Zionists in official positions. Contrary to Israeli lies, several other major Israeli spy operations occurred in the US after Pollard, including the case involving AIPAC officials, Rosen and Weissman, and Pentagon analyst Larry Franklin during George W. Bush’s administration. In stark contrast to the freeing of an Israeli spy responsible for endangering the security of thousands of US operatives abroad and millions of innocent civilians, two authentic American political prisoners, who have fought for the rights of minorities, rot in jail with no prospect of freedom. Leonard Peltier, a Native American leader has spent 38 years in the highest security prison and Mumia Abu-Jamal, an African-American leader from Philadelphia, whose 33 years in prison have been on death row or brutal solitary confinement. Both were framed by perjured evidence in a parody of justice, which has revolted millions around the world. Neither threatened US security. Over the years, numerous witnesses, legal authorities and academics have testified regarding the miscarriage of justice that characterized their ‘show trials’ and have pleaded for their humanitarian release. Unlike Pollard, and despite decades of worldwide campaigns for their release, Peltier and Abu-Jamal will probably die entombed in prison. Unlike Pollard, their cases were never about treason, selling information and greed. They have worked hard for justice within their communities, hence earning the hatred of the police state. They fought to serve their oppressed American communities, rather than an oppressive and racist Israeli elite – determined to oppress and erase the native Palestinian population. The decisive factor has been the political power of Pollard’s supporters, the US Zionist Power Configuration, which leads President Obama and 430 US members of Congress (to quote Ariel Sharon)…’by the nose!’ Through their media connections, they can lie about Pollard’s case and his motives. They can minimize the consequences of his treason and twist the arms of obedient politicians to support a traitor. Despite the fact that scores of high-ranking US intelligence and military officials have repeatedly attested to the damage inflicted by Pollard on the US, campaign finance hungry politicians recite the Zionist line that Pollard’s treason did not warrant a harsh sentence! For over three years, the Obama administration, the NSA and the Secretary of Defense, Ashton Carter have fed their media mouthpieces breathless denunciations against China for cyber-theft. Ever week, there are lurid stories about the theft of confidential US industrial, military and political intelligence committed by the Chinese. The Obama regime has followed up his charges of ‘cybertheft” by threatening to confront China in the South China Sea, apply sanctions and raise the military ante in the Pacific against the world’s most dynamic economic superpower. Assistant Secretary of State, Victoria Nuland (Nudelman-Kaplan) has claimed that Chinese cyber theft is a top national security threat requiring an immediate military-security response. US officials have provided no evidence that Chinese officials, at any level, are involved in espionage. Moreover they have presented no proof that cyber theft is a policy of the Chinese government! There has been no evidence that these alleged thefts have damaged US companies or security interests. Nevertheless US hostility toward China has been justified by unproven accusations and are used to increase the possibility of a major confrontation. Contrasted with the ‘allegations’ against the Chinese,three ‘Israeli businessmen’ have been officially charged by US prosecutors with running a multi-billion dollar cyber-hacking scam within the US over the past 5 years. Dubbed the biggest financial hack in US history, the story hardly made headlines in the US media and was conveniently buried by subsequent ‘terror attacks’ in Europe. The case is instructive. Three Israelis (one a US-Israeli dual citizen) hacked- attacked ten of the largest US financial institutions, including JP Morgan Chase and Fidelity Investments, as well as the Wall Street Journal… downloading protected information on over 100 million Americans – the biggest hack-attack in US history. Gery Shalon, Ziv Orenstein and Joshua Samuel Aaron employed hundreds of employees in Israel and elsewhere running a mega-cybercriminal enterprise. According to the Financial Times (11/11/2015, p1), “the hacks took place from 2012 to mid-2015 and were aimed at aiding stock market manipulation that generated tens of millions of dollars.” In addition to selling ‘pumped-up’ stocks to millions of customers of the companies they had hacked, Shalom et al launched cyber attacks to launder millions (more likely billions) for illegal drug and counterfeit software dealers, malicious malware distributers, illegal online casinos and an illegal ‘bitcoin exchange’ known as ‘Coin.mx.’ Someone within the financial security apparatus of the US government (white collar crime unit) must have tipped them off. They are safe in Israel; the Netanyahu regime has yet to act on a US extradition order, although they are reportedly under ‘house arrest’ in their villas. In contrast to the on-going bellicose rhetoric, which Washington has directed against China’s alleged hackers, Washington has been ‘very reluctant’ to press the issue of extraditing the cyber-thieves with its ‘special partner’ in Tel Aviv. Israeli super-hackers launched virulent attacks against major US financial institutions and American investors with apparent impunity, following the practice of Israeli info-tech operatives who have raided US military, technology and industrial sites for years. While the US sends air squadrons and an armada of warships to Chinese waters over a few sand-bars, and brays about arresting Chinese researchers (who it later released with no charges) for alleged cyber-theft, it cannot persuade its ‘closest strategic ally’, Israel, to hand over a trio of formally charged swindlers. Instead, the US increased its annual $3 billion in military aid and provides an open market for Israeli ‘security’ products based on stolen US technology! The reason for the differential response is not the nature of the ‘crimes’ – it is who commits the crimes! Israeli dominance of US politics via the unconditional support of its US Zionist power configuration ensures impunity for Israeli citizens, including the ability to delay or postpone the extradition of notorious multi-billion cyber thieves! Washington feels free to accuse China, without proof of official Chinese complicity, despite overwhelming evidence, while it cannot persuade its close ‘friend’ Israel to extradite criminals. Netanyahu, backed by his Israeli-Jewish public will decide if, when and where to extradite. When it comes to shielding Israeli or American-Israeli criminals from American justice, Israel treats its ally in Washington like an enemy. Zionist political clout is evident in Washington’s judicial leniency toward other mega-swindlers with ties to Israel. Michael Milken contributed millions of (swindled) dollars to Israeli and US Zionist programs and won a ‘get out of jail’ card despite his conviction for major financial scams. He served 2 years out of a 10-year sentence and was granted a ‘humanitarian release’ because he was ‘dying’ of extensive terminal metastatic prostate cancer. So far, Michael’s quarter century of miraculous remission from ‘terminal metastatic prostate cancer’ constitutes a first in the annals of urologic cancer! He has gone on to re-constitute his fortune and prominence, while welfare mothers who took a few extra dollars rot in jail. 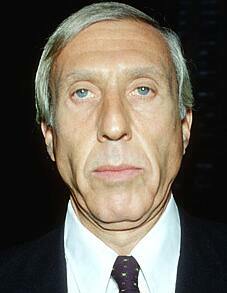 Ivan Boesky, another uber-Zionist and mega-donor to Israel was a swindler of gargantuan proportions. He raked in hundreds of millions a year. He was tried, convicted and sentenced to a mere 42 months in prison. He was out in less than 24 months, thanks to the support of …. 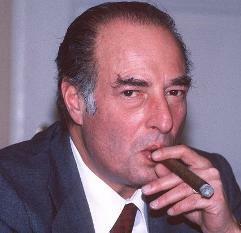 Marc Rich, a mega- billionaire rogue trader who broke US sanctions against trading with enemies, was also a self-described agent for the Israeli Mossad. Despite having been convicted in absentia in US courts for fraud, (he had skipped bail for Switzerland), President ‘Bill’ Clinton pardoned the ‘absentee felon’ in abstentia– a historical first for a criminal who had never spent a day in the jail. Mrs. Rich’s $100,000 donation to the Hilary Clinton New York senatorial campaign probably did little to influence the President’s sense of mercy….. However, ‘Bernie’ Madoff, a $50 billion dollar swindler’ who gave huge amounts of illicit earnings to Zionist charities and projects in Israel was convicted and sentenced to over 100 years in prison. Unlike the above mentioned ‘untouchables’, Madoff will never breathe free again because he made the unforgivable mistake of mostly swindling other Jews, ardent Zionists and even ripping off a number of pro-Israel foundations. His differential treatment stems from his poor choice of victims rather than the crimes… Otherwise he might now be enjoying a comfortable villa in Israel than a cold cell in Pennsylvania. Israeli capacity to manipulate and influence the American judicial process is based on 52 powerful front organizations – organized in the Presidents of the Major American Jewish Organizations. This situation has made a mockery of the American court system and feeds the cynicism and bitterness of the average American. Zionist officials and allies occupy strategic position within the White House and judiciary. Through their influence in the mass media, they converted a grotesque mercenary spy, like Jonathan Pollard, into an altruistic, Israeli-Jewish patriot, celebrated throughout Israel and within US Zionist circles. Veteran American intelligence and military official who opposed his release have been painted with the broad brush of ‘anti-Semite’. The formidable Zionist power configuration, nurtured and financed by mega-swindlers, successfully secured his release. 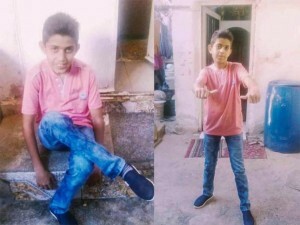 Zionist dominance essentially guarantees that the US will treat an indicted Israeli cyber-thief with extreme tact, supplicating the Israeli government for their extradition, while going ballistic over an alleged Chinese hacker. Few progressive web sites or even the micro-Marxist journals confront these issues, more out of moral cowardice (self-censorship) than ignorance. Instead they bleat general clichés and ‘radical rhetoric’ about ‘US imperialism’ and the ‘rise of the right’ without identifying the precise social and political identity of the forces who move national policy. In a word, the Zionist Power Configuration gets more than a ‘free ride’.. Across the political spectrum it continues to campaign on behalf of Israeli spies and Zionist financial swindlers. This corruption of the American judicial system and the betrayal of American trust have far-reaching consequences and undermine efforts to effectively address major national problems. 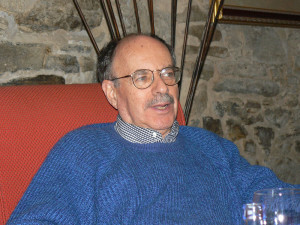 James Petras is a Bartle Professor (Emeritus) of Sociology at Binghamton University, New York. He is the author of more than 62 books published in 29 languages, and over 600 articles in professional journals, including the American Sociological Review, British Journal of Sociology, Social Research, andJournal of Peasant Studies. He has published over 2000 articles in nonprofessional journals such as theNew York Times, the Guardian, the Nation, Christian Science Monitor, Foreign Policy, New Left Review, Partisan Review, TempsModerne, Le Monde Diplomatique, and his commentary is widely carried on the internet. His publishers have included Random House, John Wiley, Westview, Routledge, Macmillan, Verso, Zed Books and Pluto Books. He is winner of the Career of Distinguished Service Award from the American Sociological Association’s Marxist Sociology Section, the Robert Kenny Award for Best Book, 2002, and the Best Dissertation, Western Political Science Association in 1968. His most recent titles include Unmasking Globalization: Imperialism of the Twenty-First Century (2001); co-author The Dynamics of Social Change in Latin America (2000), System in Crisis (2003), co-author Social Movements and State Power (2003), co-author Empire With Imperialism (2005), co-author)Multinationals on Trial (2006). 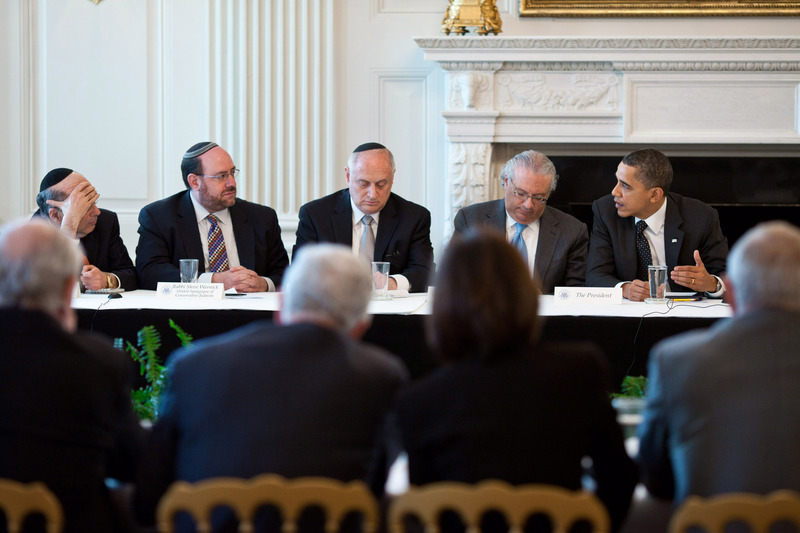 COVER PHOTO: President Barack Obama meets with the Conference of Presidents of Major American Jewish Organizations in the State Dining Room of the White House, March 1, 2011.